Three brothers, a cousin, and a friend began singing in a garage in Hawthorne, California in 1961. At the time, The Beach Boys didn’t realize that they were paving their way to become one of America’s most beloved bands. After hits like “Surfin’ USA,” “Kokomo,” “Help Me Rhonda,” “I Get Around,” “California Girls,” “Good Vibrations,” and “Wouldn’t It Be Nice, ” they have come a long way since practicing in the garage. The band won the Grammy ® Lifetime Achievement Award in 2001 and has a star on the Hollywood Walk of Fame. Back in a return engagement to State Theatre New Jersey, The Beach Boys will once again wow the audience on Friday, March 31. The Beach Boys' Pet Sounds is considered one of the most influential albums in all of music history. It met with a lukewarm response in the United States, but in the United Kingdom, the album became an instant success that stayed on the top 10 positions for six months in the UK Top 40 Album Charts. However, the critical acclamation that the album has now took years to garner. It wasn’t until 1972, when The Rolling Stones said that Pet Sounds changed the “course of a few lives,” that people began to understand its worth. The band was able to combine rock, hip-hop, jazz, and punk to produce songs like “Wouldn’t it be Nice” and “God Only Knows,” a song that Paul McCartney claimed to be his favorite. This album strayed away from the usual beach themed instruments and included layers of harmonies and orchestration of instruments like never before. Listen to our exclusive interview with Beach Boy Mike Love as he talks about Pet Sounds, Paul McCartney, and the group's connection with The Beatles. Many critics consider Pet Sounds rock’s first concept album; an album that collectively has an overarching purpose and meaning behind it, rather than the individual songs that stand on their own. The lyrics and the music alike are both filled with emotional intensity that in many ways moved away from The Beach Boys’ typical impression of an idyllic youth band. The album was brilliantly described as an autobiography that attempted to “reach out to another human being.” 32 years after its release, Pet Sounds was added to Grammy ® Hall of Fame in 1998. The Beach Boys have had their fair share of struggles as a band but they continue to stay in America’s heart. Their music till date routinely appears on lists that honor the greatest music of all time. 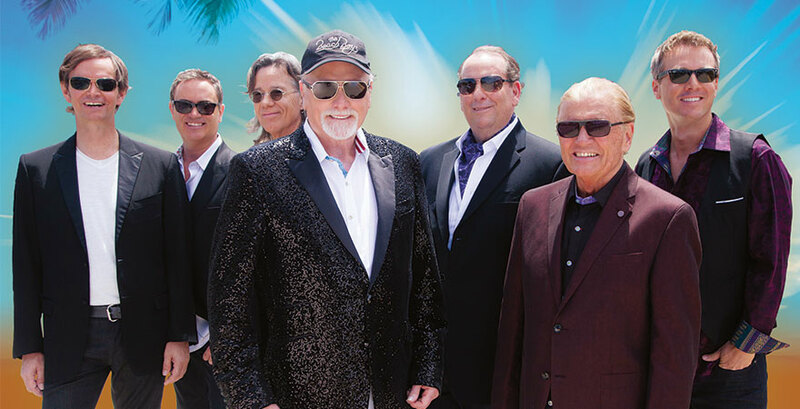 Even after five decades, the band is still culturally influential and now is your chance to witness The Beach Boys live in action on Friday, March 31 at 8pm.